Turn key business opportunity. 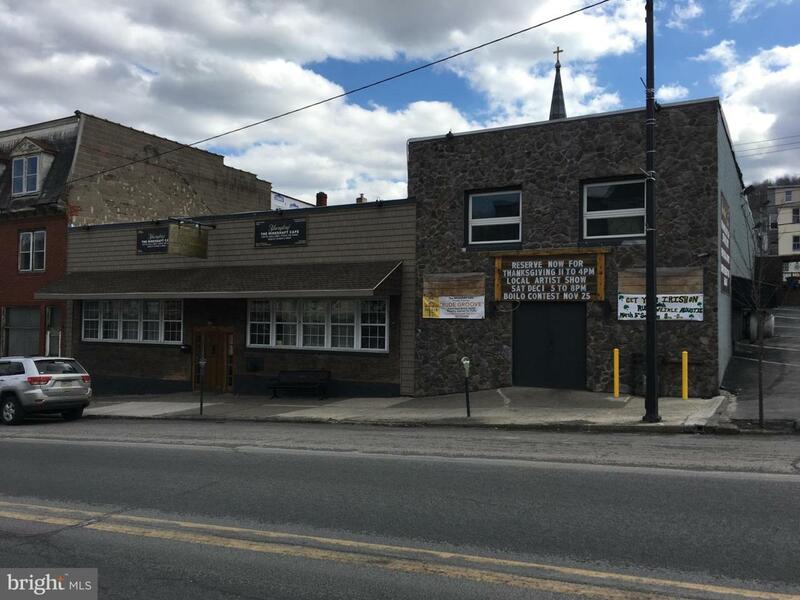 Large, open and operational bar, restaurant, and catering business situated in the Borough of Ashland on busy Route 61. Included with sale is the real estate, business name, liquor license, equipment, and fixtures. 30 car parking lot paved only 2 years ago. Large tastefully renovated and maintained bar area with seating for 30 at the bar itself plus seating for an additional 40 at tables along with a game area. 3 dining rooms off of bar area with seating for 26, 26 and 50. Huge well equipped commercial kitchen with walk in cooler and freezer. Second floor boasts an additional bar and hall area for larger catering events with seating for up to 120 people. 3 set of bathrooms, an office and storage area. Included is the camera and point of sale systems. Natural gas heat and hot water, rubber roofs. Great opportunity to step into a nicely renovated operating business and take it to the next level or launch your existing catering business into new horizons. Inclusions Real Estate Building Parking Lot Liquor License Business Name Kitchen And Bar Equipment Pos System Camera System Fixtures. Building Area Total 8500.00 Cooling Central A/C Exclusions Food And Alcohol inventory Heating Forced Air Heating YN Yes Inclusions Real EstateBuildingParking LotLiquor LicenseBusiness NameKitchen And Bar EquipmentPos SystemCamera SystemFixtures.